From the outside, Carter Tomlin’s life looks perfect: a big house, a pretty wife, two kids — a St. Paul success story. But Tomlin has a secret. He’s lost his job, the bills are mounting, and that perfect life is hanging by a thread. Desperate, he robs a bank. Then he robs another. 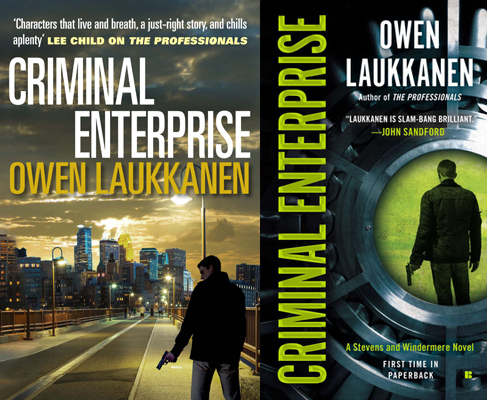 In the second novel in Laukkanen’s excellent Stevens & Windermere series, the financial crisis drives a successful accountant to walk on the darkside. Unfortunately, it awakens a side of himself that had hitherto been hidden. When desperation drives Tomlin to start robbing banks, his taste for crime leads his exploits into deadly escalate. Into the mix, FBI Special Agent Windermere is assigned to the bank robberies, which eventually brings her back in touch with BCA investigator Stevens. The two haven’t been in contact since the events of The Professionals, and their relationship remains somewhat strange and comfortable-and-uncomfortable at the same time. It’s a fast-paced novel, as Tomlin spirals out of control, and Stevens (and, ultimately, his family) gets roped into the case. I enjoyed this as much as the first novel. Highly recommended. 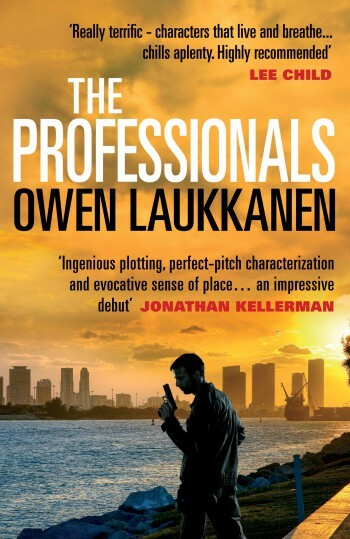 In this third novel, Laukkanen seems to be stretching his authorial-wings, in less of a rush to tell his story. This is no bad thing, but I certainly noted the less-breakneck pacing. It’s an interesting novel, and just as good, too. Stevens and Windermere have been keeping in touch, maintaining a friendship, and it is on one of their coffee dates that they witness a professional hit go down in St. Paul. They follow the killer as he flees the scene, but there’s something off about him — beyond the fact that he’s a killer,of course. Windermere and Stevens are tasked with uncovering the identity and motive of the killer. As more deaths pile up, though, they realise that there’s something far more sinister going on. The novel is an interesting look at manipulation and the depravations of PTSD. As it turns out, the novels main villain is not the killer, but someone far worse. A slower novel, but no less gripping as a result. Another great novel in what is fast becoming a favourite. Highly recommended. 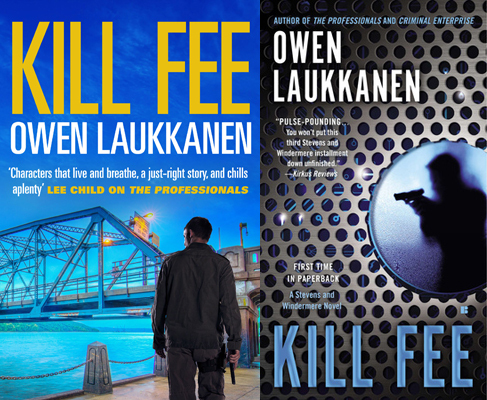 Criminal Enterprise and The Kill Fee are published in the UK by Corvus Books; in the US the series is published by Berkley. The fourth novel, The Stolen Ones, is out now. The fifth novel, The Watcher in the Wall is out in March 2016.